Some time back Verizon Wireless sent me a MiFi device to test and I have used it as a long-term review unit and am blown away at how useful it has become. Recently at ITEXPO in Miami I was able to use it instead of hotel WiFi which often can cost $15/day. Moreover, there was one hotel I stayed at this past month where the position of the hotel meant 4G didn't work from any provider - and it turns out I paid through the nose for hotel WiFi. I happened to use three devices and I got charged for each one (almost daily) for seven days. I didn't notice that there was a per-device charge as typically this isn't the case at the hotels I use. Although I didn't get charged $315, that is what I would have paid had I used each device each day and the hotel didn't take some of the charges off my bill. The point is, your workers could save a bundle over the hotel WiFi charge with a single MiFi device. 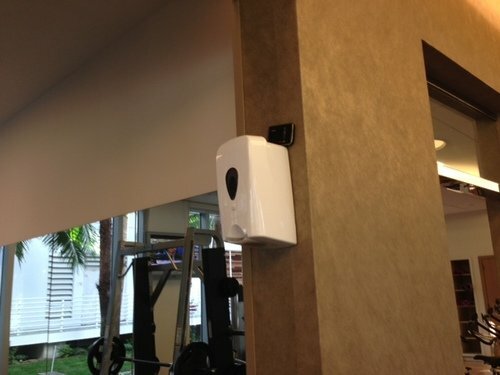 Moreover, at the Gym at ITEXPO in Miami there was poor connectivity and no WiFi. 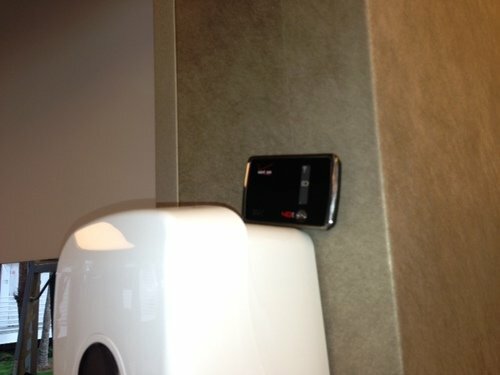 What I ended up doing was placing the MiFi device on top of the hand sanitizer dispenser which was about six feet high or so. Up there it was able to receive a 4G signal. This allowed me to have great connectivity through my workouts - I could tweet, stream music and keep in touch with my team the entire time I was down there. In fact whenever I am in a location where connectivity is poor I look for a high place to put the MiFi device to maximize broadband supplied to my devices. I also have to give a hats off to Boingo Wireless - thanks to them I was able to stay connected in the convention center, at airports and on my flight home from the show. Even better - their new iOS app makes it far easier to find networks which work with the service. It's worth pointing out that devices using WiFi use far less battery power than on a 3G or 4G network meaning when you are a conference you want to use WiFi as much as possible to conserve the battery on your devices.